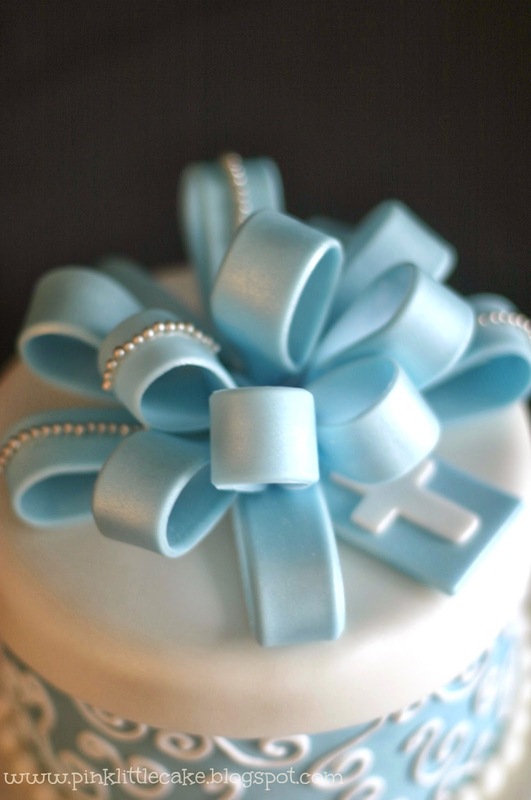 The perfect cake for a special celebration!! 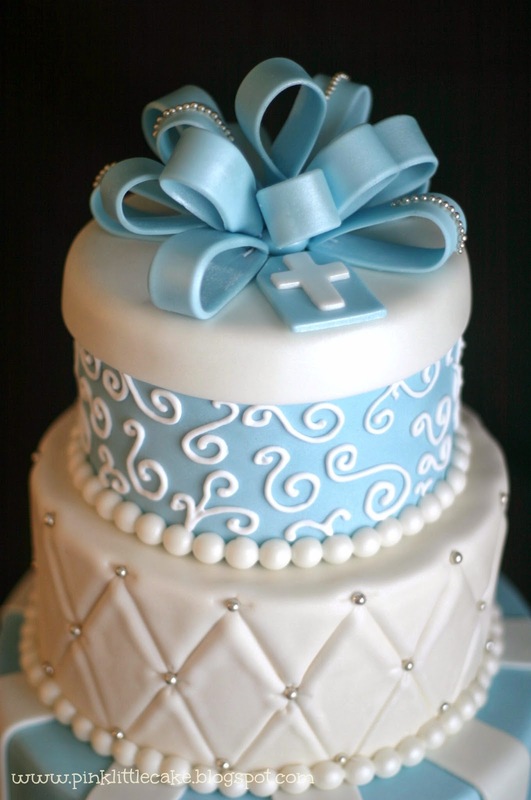 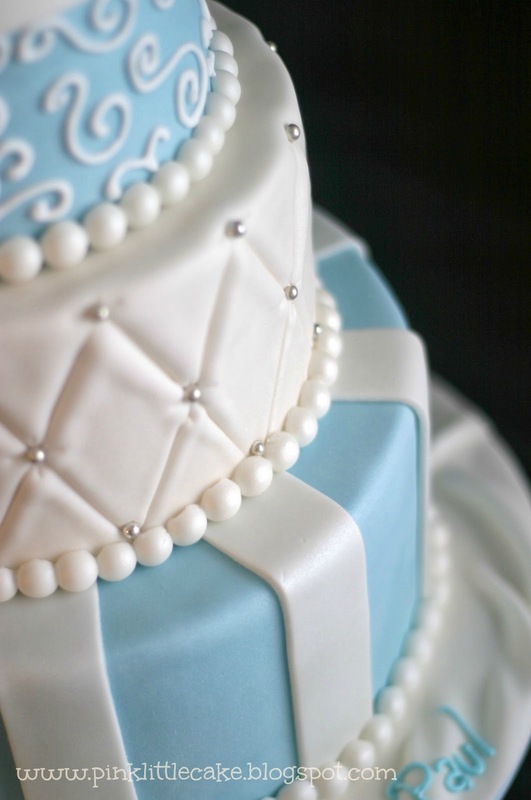 3 tier white and baby blue Baptism cake with elegant sugar bow and silver dragess details. 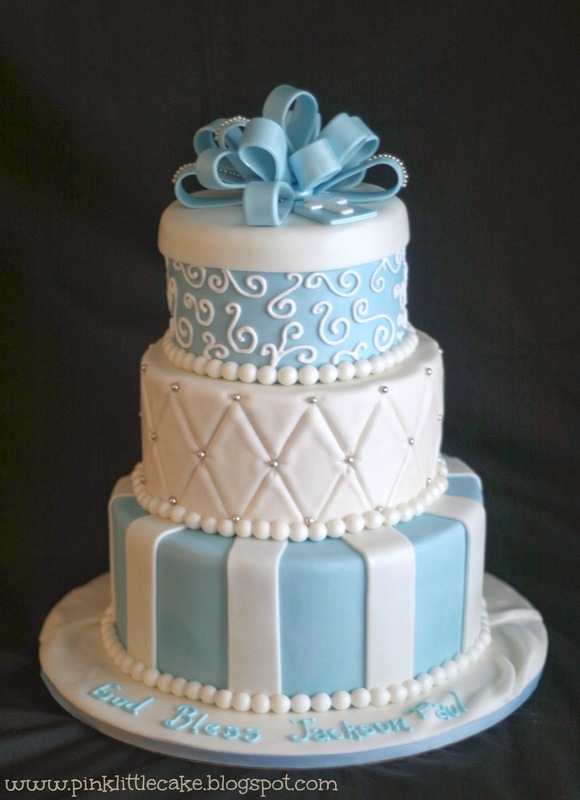 Design provided by client.